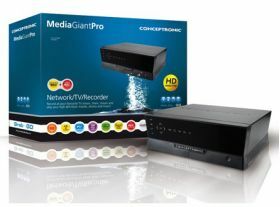 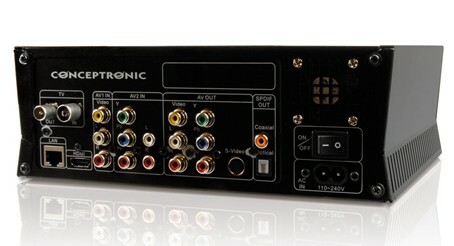 The Media Giant Pro combines a full featured network HD media player with a personal video recorder. You can record all your favourite TV shows and movies thanks to the built-in analog TV tuner. 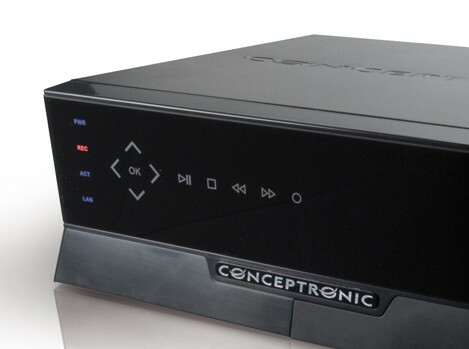 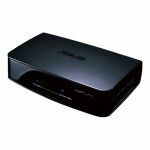 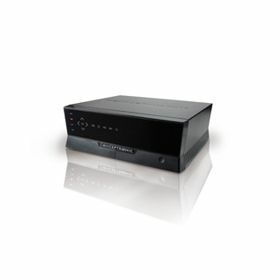 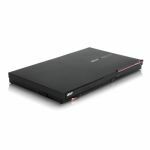 You can also record directly from your DVD player, camcorder or set-top-box (for digital cable or satellite) with the composite AV input, component video input or the digital Firewire™ input. 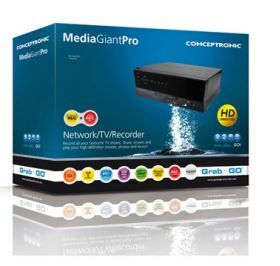 The Media Giant Pro is a high definition network media player which plays all your digital movies, photos and music from the internal hard drive or over your network. 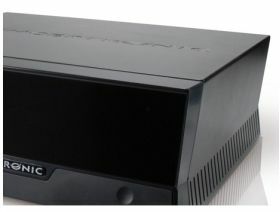 You can stream directly from your computer or from compatible storage devices like the Grab’n’GO NAS products. 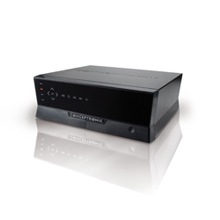 The device is also a DLNA 1.5 compliant media server, so you can stream all your content (even your recordings!) 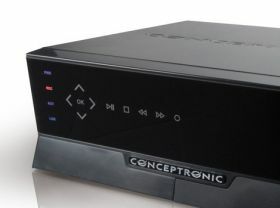 to other compatible network media players or computers. 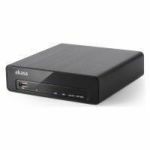 With the integrated 200Mbps powerplug adapter and the bundled 200Mbps powerplug adapter you can easily create a highspeed network connection through the powersocket, without the need to draw any cables to your livingroom!